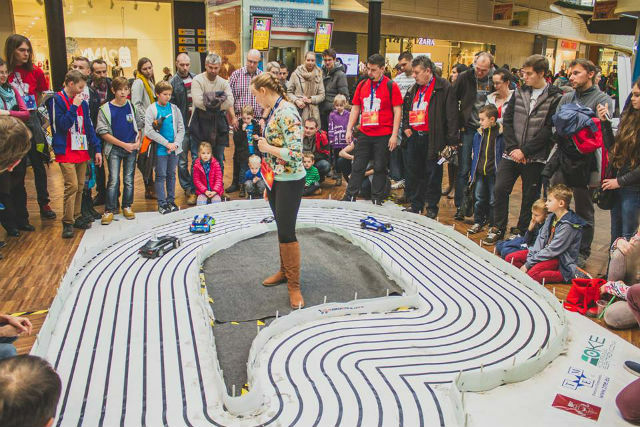 Nearly 140 robots from all across Poland with guests from Belarus and Ukraine had guaranteed an unforgettable spectacle during robotic competition Sumo Challenge 2015 on 21th November in Łódź. 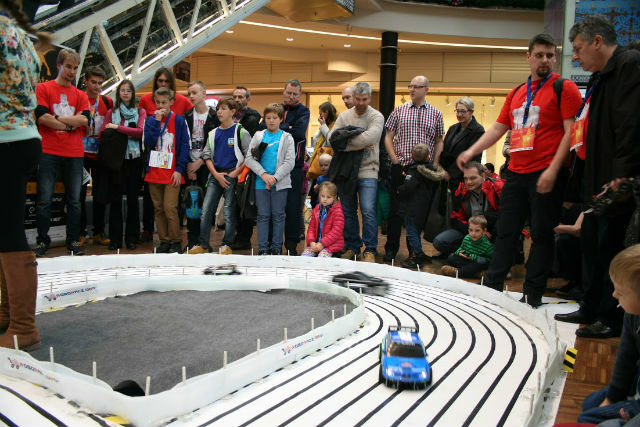 It was the eighth edition of the event. 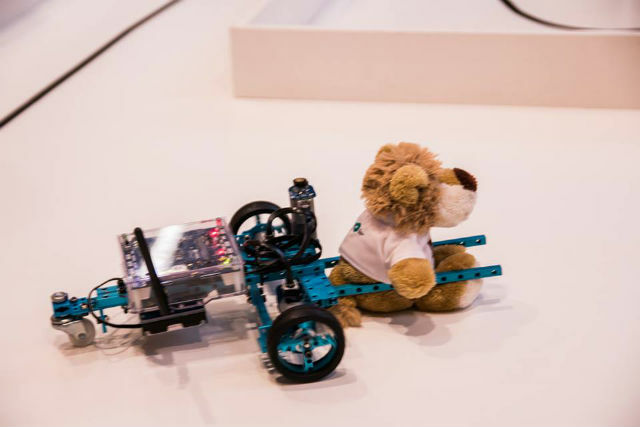 Robots were fighting in several categories: Sumo robots, Line Follower and Enhanced Line Follower, Micromouse, Roborace, Freestyle, Ketchup House and Bear Rescue. 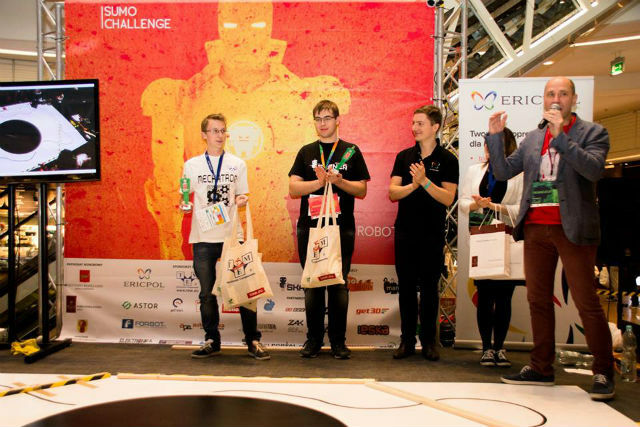 Our contestant took the 1st place in the category Enhanced Line Follower with his robot “Spear”. 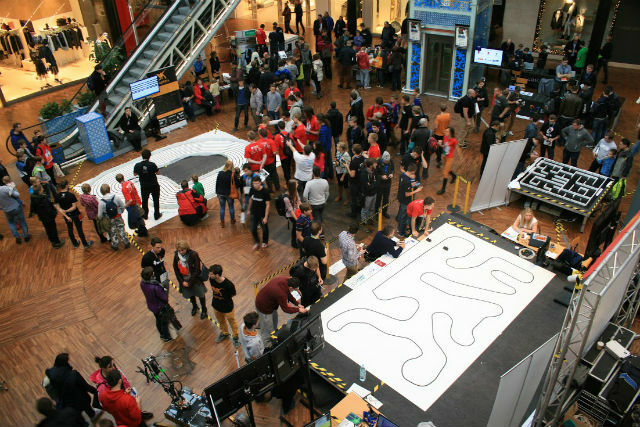 The event turned out to be very successful! 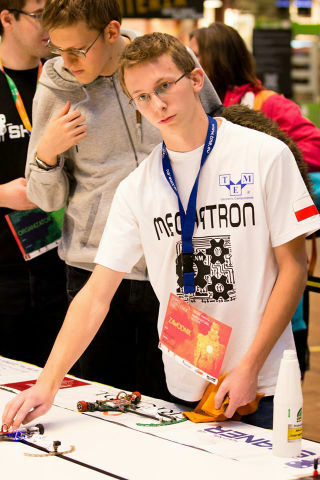 There were a lot of robots from all across Poland and abroad - there were also hundreds of visitors. Congratulations and we wish every success in the future!